Controller will always be best for racers. Using traditional controllers will always be the "primary" way to play racing games. 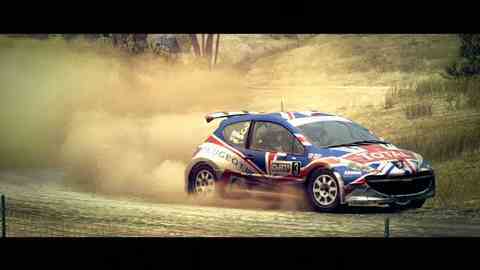 That's the verdict of Paul Coleman, the chief game designer of Codemasters' upcoming rally game DiRT 3. Coleman, who was speaking to Eurogamer in a new interview, remains unconvinced by Kinect's suitability to the racing game genre. "I'm not even convinced by head tracking because you're turning your head to look away on the screen, but you still have to look at the screen," he said. "All you're doing is looking out the corner of your eye, which isn't helpful. Maybe if you've got multiple screens it might improve things, but I'm not convinced by head tracking." At E3 2010 Microsoft announced the next iteration of its Xbox 360 exclusive racing simulation Forza. Forza 4, due out this autumn, was demonstrated working with Kinect. The Kinect functionality allows players to climb inside authentically-modelled cars and play around with their insides. You will be able to drive the cars using Kinect's controller-free interface, too. Commenting on the game, Coleman said: "It wouldn't surprise me if a lot of Forza's Kinect support is based around their livery editor and possibly car exploration. "It's something we could possibly look into doing for service area, maybe repairing cars, replacing parts, setting the car up. If we ever went down the line of a track editor that would be quite handy for placing objects around and ramps, perhaps. "But the sensation of waving your arms around in front of your face to control a steering wheel – we're always going to need the control pad as the primary way of racing a car down a stage." Confirming Kinect support will not be added to DiRT 3 after its release, Coleman added: "If do any Kinect support it will be on future titles."